Need a Reliable Home Appraisal in Mission Bend, TX? Our Texas certified appraisers are the leading providers of independent residential and commercial real estate appraisals in the Mission Bend market area. Our goal is to supply our clients with a fast, accurate and comprehensive appraisal service that meets or exceeds their expectations and requirements for use. Our appraisal costs are highly competitive and we take pride in maintaining some of the fastest report turn times in the area. Getting in touch takes minutes! 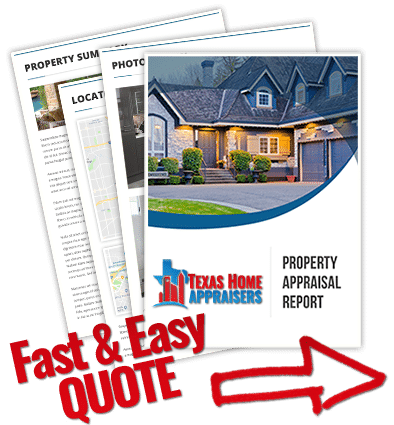 Simply submit the online quote request form or phone our direct line and one of our independent houston real estate appraiser will be more than willing to discuss your appraisal. Yes. Lenders are required to provide a copy of any appraisal reports ordered on your behalf regardless of the loan outcome. Many states require all real estate appraisers to be, at a minimum, state licensed or state certified and have fulfilled rigorous education and experience requirements and must adhere to strict industry standards and a professional code of ethics as promulgated by the Appraisal Foundation. Additionally, appraisers must perform several thousand hours of appraisal work as an apprentice before gaining their license. Finally, appraisers must be able to show competency in not just valuation but in their geographic area. Though you never want to over-improve your home in a way that exceeds the median standards of your neighborhood, you can increase the value of your home by doing minor paint, fixture, and flooring updates. Because some improvements may cost more to implement than they can add to the value of a home, it is more beneficial to have a local real estate appraiser provide a cost/benefit analysis rather than assuming the owner’s tastes will conform with the current market trends. A comp can be a sale, pending sale or a listing that is similar to the subject based on typical parameters of size, age, condition and location. For residential appraisals, the selection and adjusting of comparable sales has the most weight on determining the final opinion of value. It is the appraiser’s responsibility to adequately research the local real estate market and determine which comparable sales best represent the value characteristics of the subject property.